As with my 1986 story, 1987 was another of those early years which suffered from my inability to upload all of the photographs I took at the time (due to limited web space. 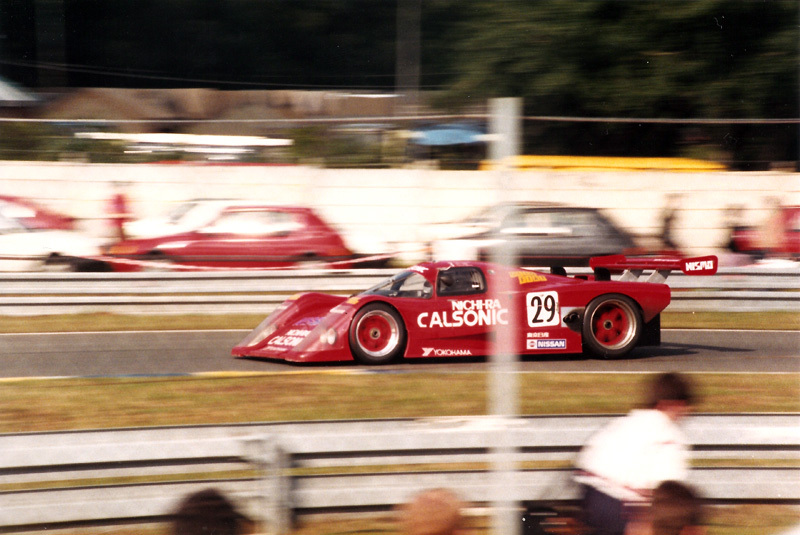 So, as I write this a month before Le Mans 2008 - 21 years later, I now have the opportunity to scan those pictures and post them up, along with an extended version of the Tourists Story from 1987. The original version is still here - you'll find it as page 4. I should say that there has been some inevitable degrading of some of the pictures over the years and scanning doesn't always help, but as a pictorial record of that year, I hope you find it interesting. 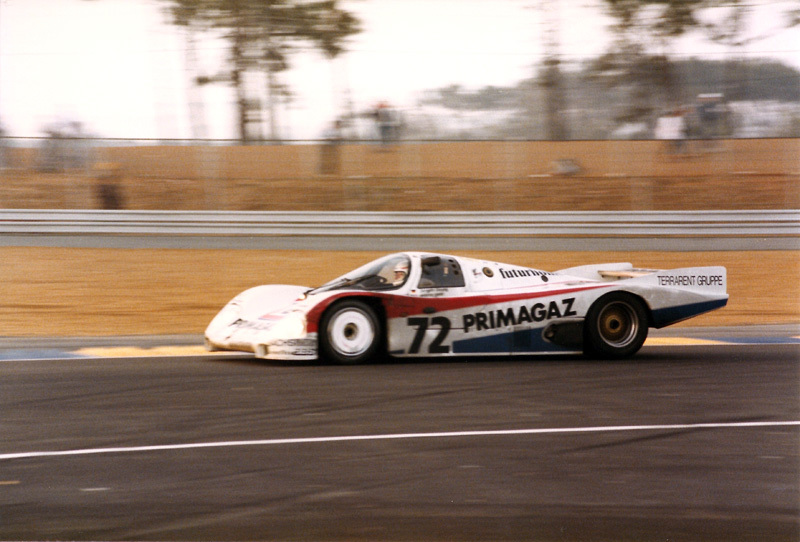 After my experience in 1986, there was never any doubt that I was well and truly hooked and that, subject to Ian being prepared to have me as a Tourist again, nothing would stop me going back to La Sarthe in 1987. 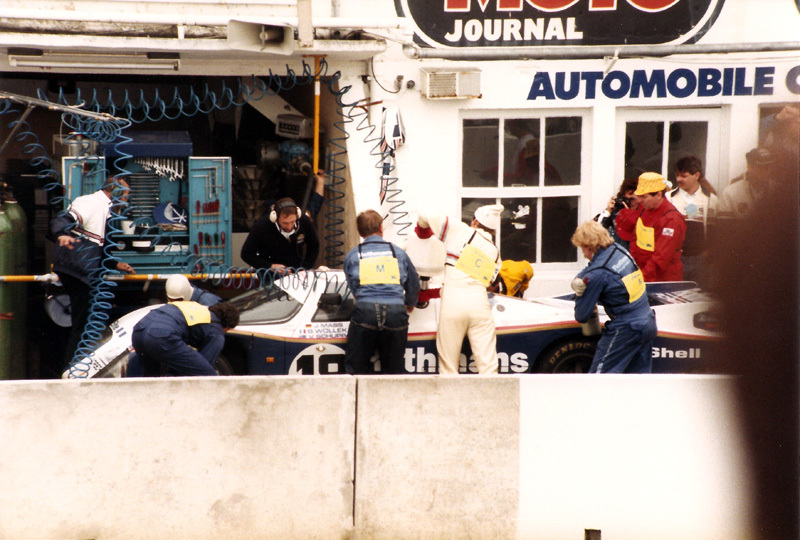 Since the 1986 race, the experience had been heightened by the Duke video of the race, (which I must have watched at least once a week during the following year! 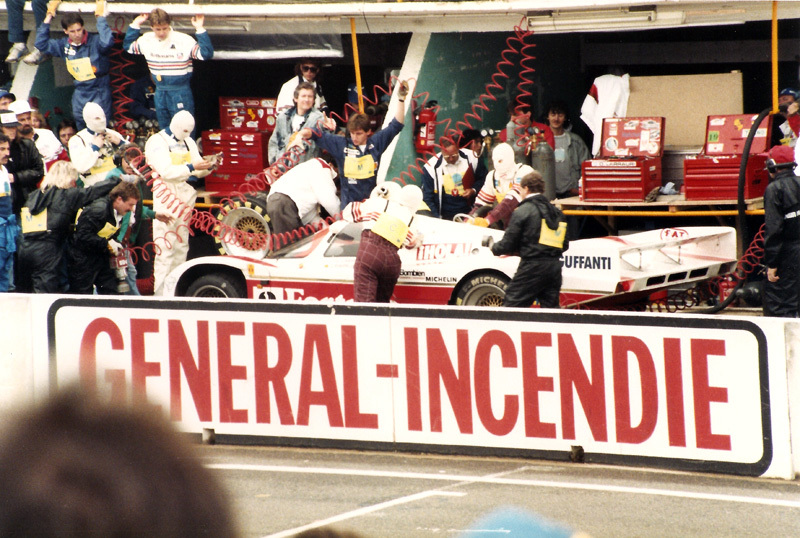 ), together with the Ken Wells book which documented the race. 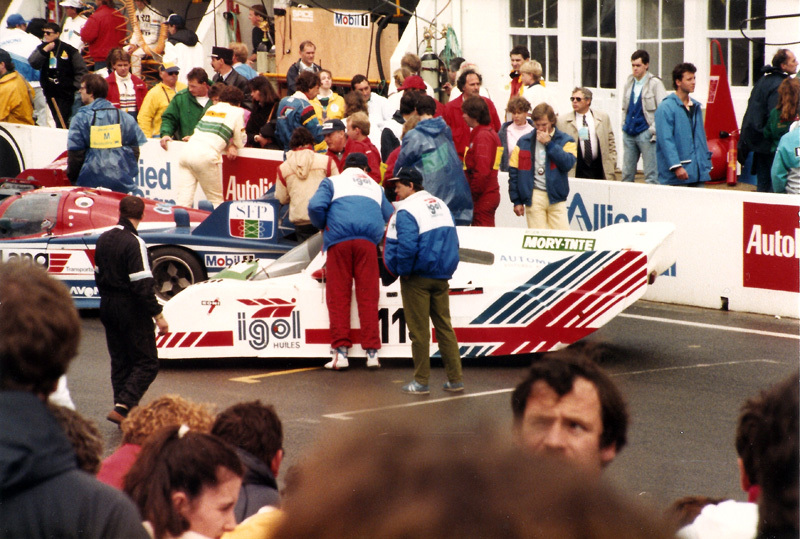 Of the build-up to the 1987 race I remember relatively little. 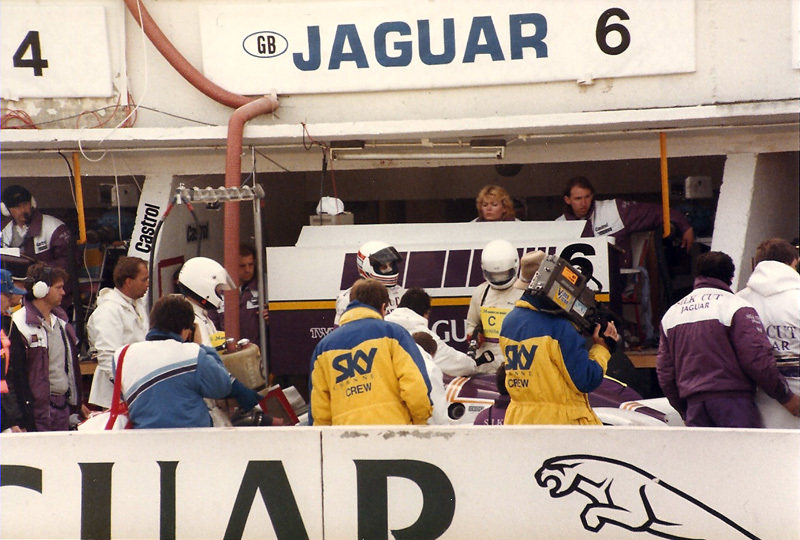 I went to Silverstone for the Jaguar victory in the last race before Le Mans, which made four wins for Jaguar out of four WSC races that season. 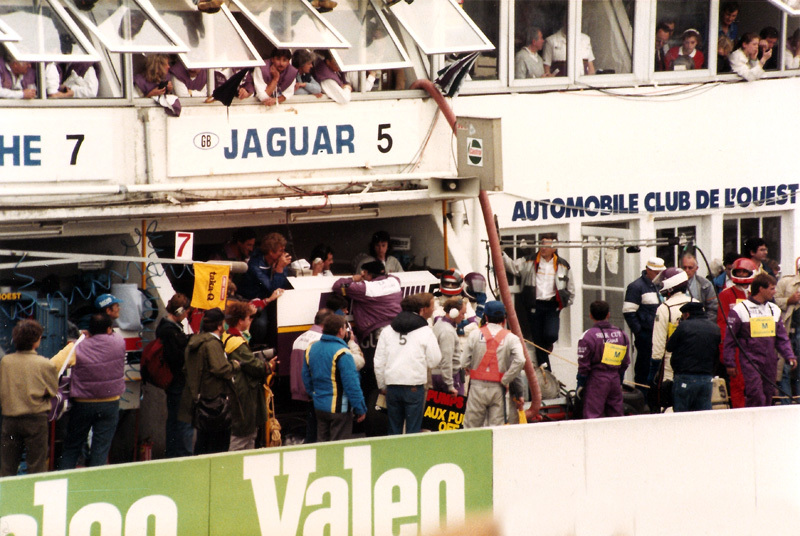 So, all in all it looked pretty good for a Jaguar win at Le Mans, 30 years after the last Ecurie Ecosse Jaguar D-Type success in 1957. 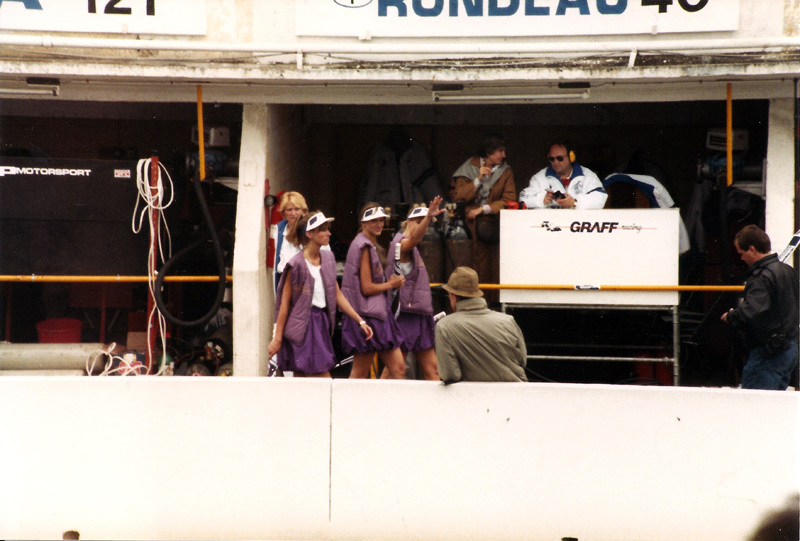 The team of Tourists for 1987 was substantially different to 1986. 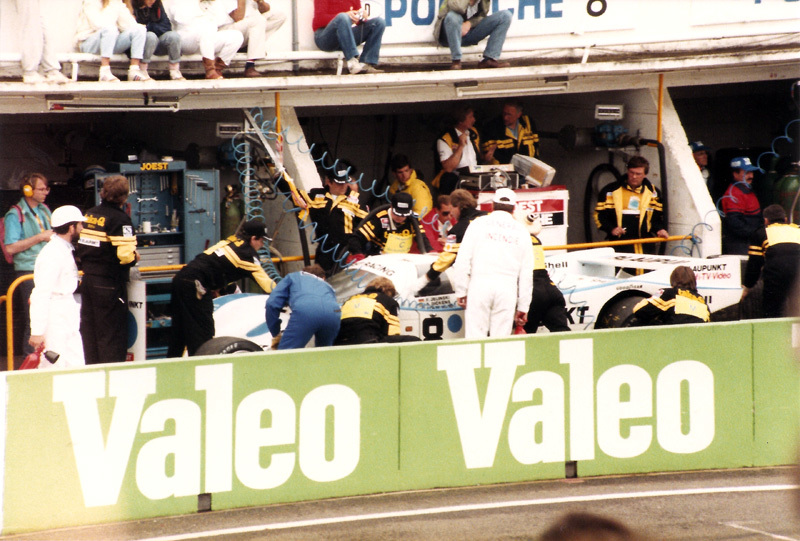 Only four of the 1986 team remained, i.e. Ian, Robert, Alan and myself. 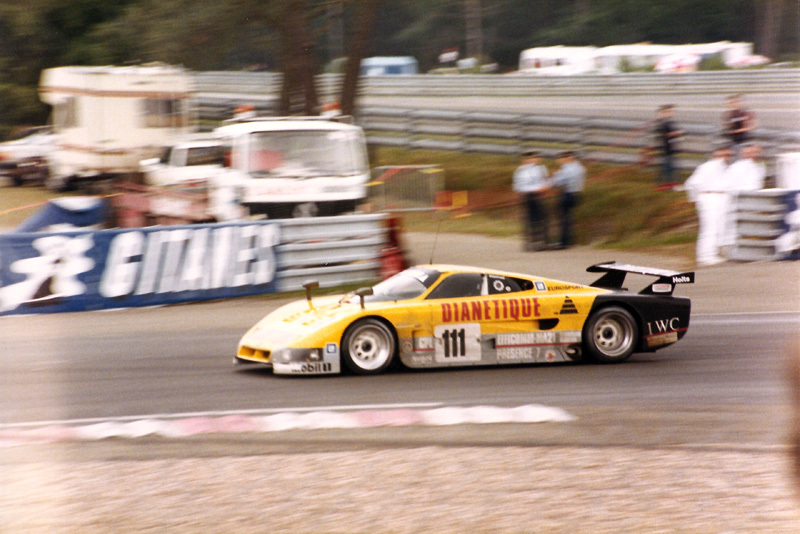 Drafted into the squad was Martin, who had been to Le Mans with Ian, Robert and Alan on a number of occasions. Martin brought some badly needed understanding of the French language to the team! Not only could he understand rather more than the smattering that the rest of us had between us, he proved that he could also conduct a pretty useful conversation, even with M. Le Bigot!Aside from Martin, we gained three new recruits, Ian T, Ben and Peter. 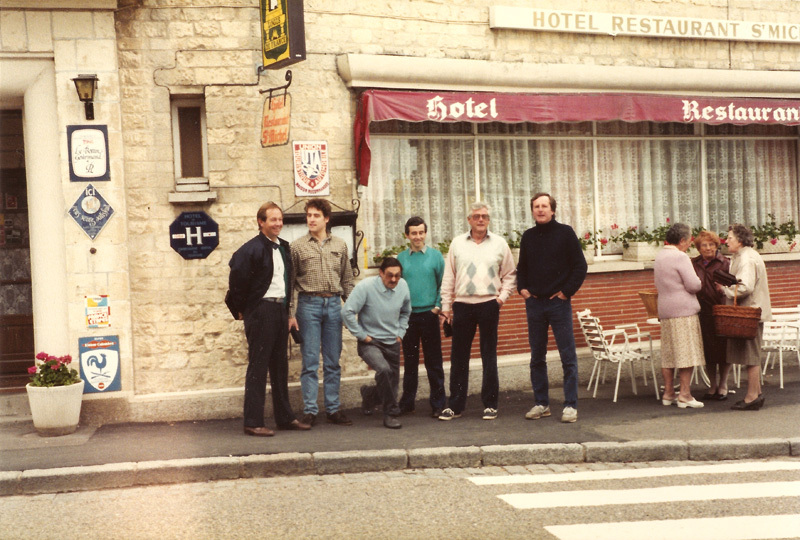 As in 1986 we met at Ian's home and the eight of us were to travel in three cars, two BMW 325is for Ian and Robert and a Porsche 911 for Ben. We caught the ferry from Portsmouth to Cherbourg in what proved to be a typically unremarkable crossing. On our arrival though, we were disappointed to be greeted by yet more rain. 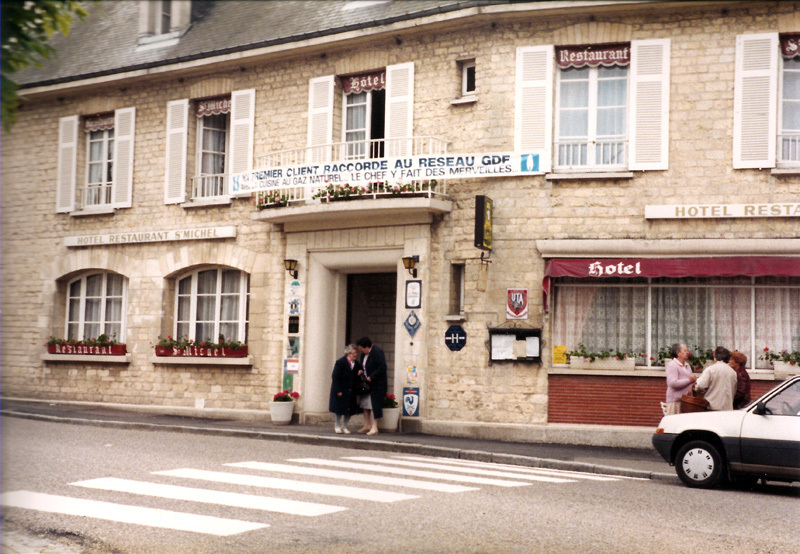 This year we were heading for a new Friday overnight stop at the Hotel Restaurant St. Michel at Aunay-sur-Odon, a small town in the Calvados region of Normandy. 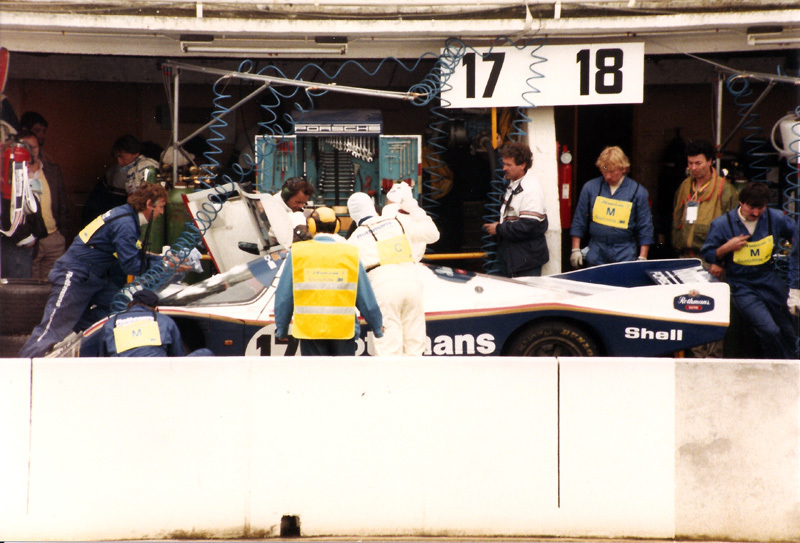 Although the Saturday morning dawned dry and dull, the rain soon started again on the journey to Le Mans, to such an extent that by the time we reached the long, fast drag approaching the town, it was raining quite hard. We arrived at the circuit, and took up our customary spot in the garage rouge. 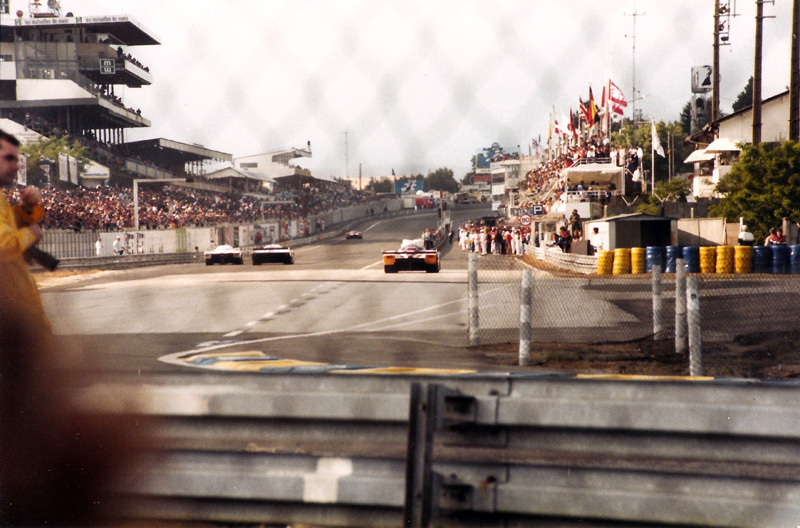 At this time, I was beginning to think back to my father’s words, and his handful of murky black and white photographs taken at Le Mans in 1970. 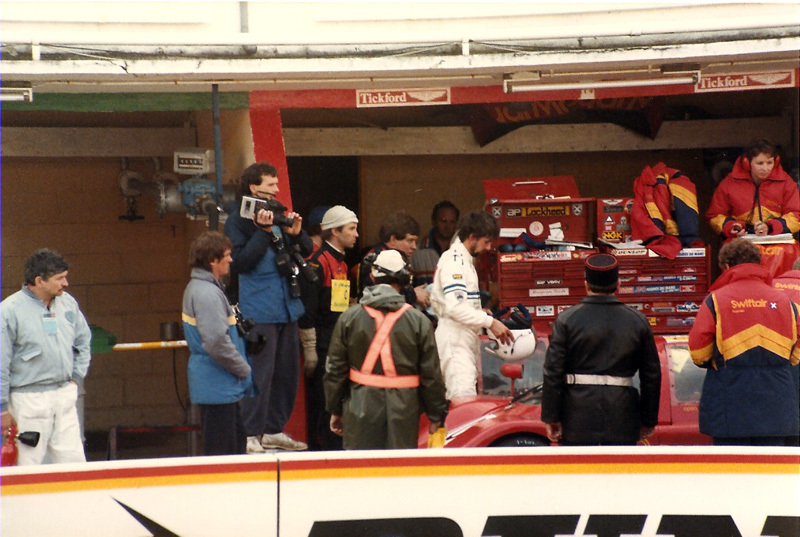 That year the heavens opened, and all concerned were well and truly drenched! I had made a conscious decision to travel light and leave the wellies behind, and I was wondering whether I had made a mistake. Having said that, I didn’t much fancy the idea of spending over 24 hours in sopping wet clothes and welly boots anyway! Sadly my pre-race photography wasn't so good as last year and I only have this one photo of probably the naffest car in the race to show for it! Fortunately for everyone, the rain soon stopped, and when it did it also started getting pretty warm - it wasn’t only the track which was drying out fast! 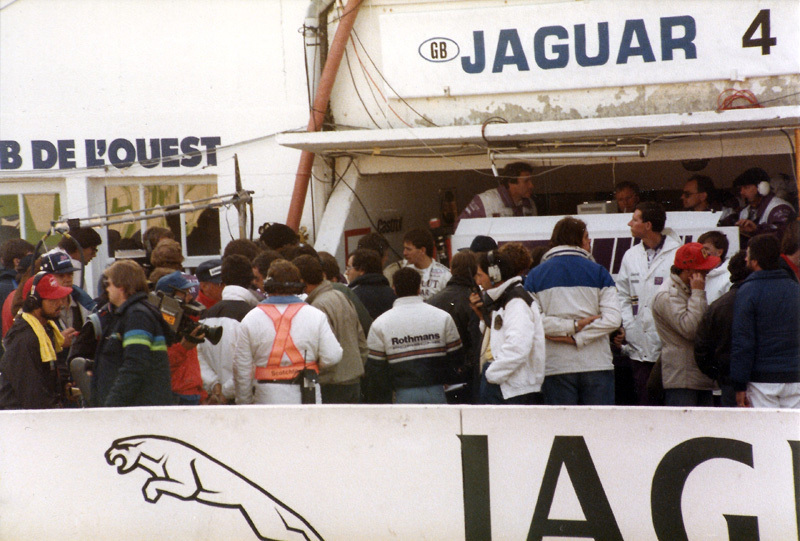 We took the essential glass of champagne at the stall behind the main ACO grandstand, and then trooped back to the cars to divest ourselves of the heavy clothing that, in our pessimism, we thought we might be wearing all week-end. 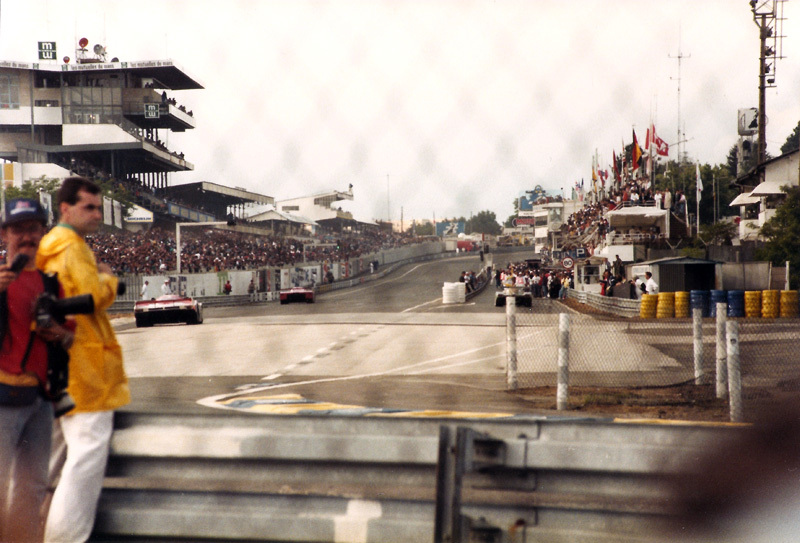 Following the start of the race, we made slow progress around the spectator areas this time including the banked area at the Ford Chicane, where the cars are required to brake hard after the fast sweeps of the Porsche Curves, for the slow left and right hand corners which make up the chicane, immediately before the beginning of the main start and finish straight. 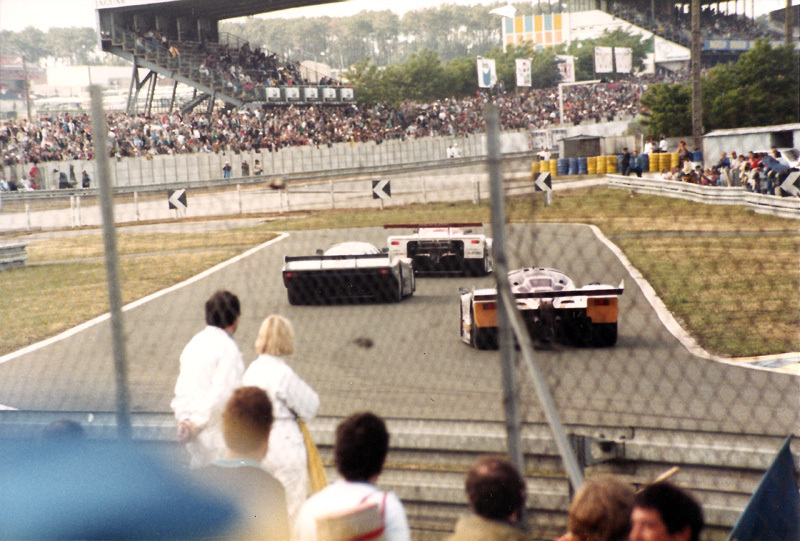 After watching the Porsche 961 4WD spin luridly at the Ford Chicane, we spent some more time watching in front of the pits. 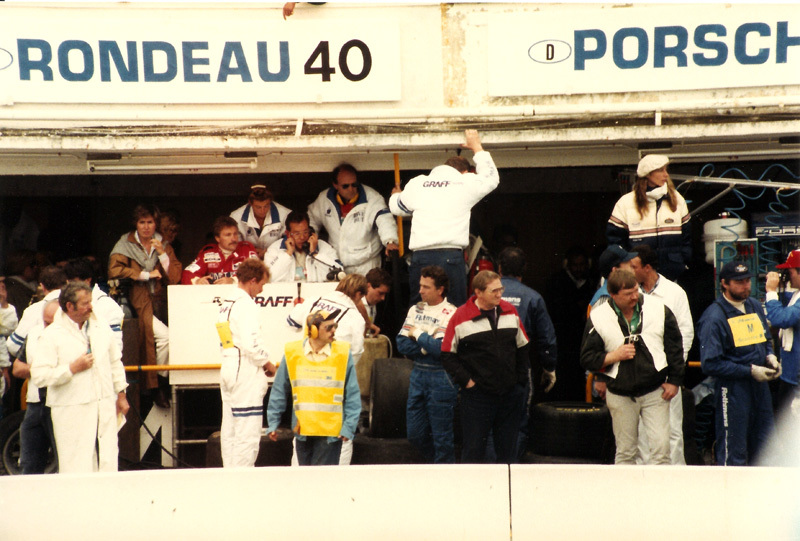 I found my 400 mm lens very useful at this stage, using it to pick out a number of the better-known drivers in their respective pits. 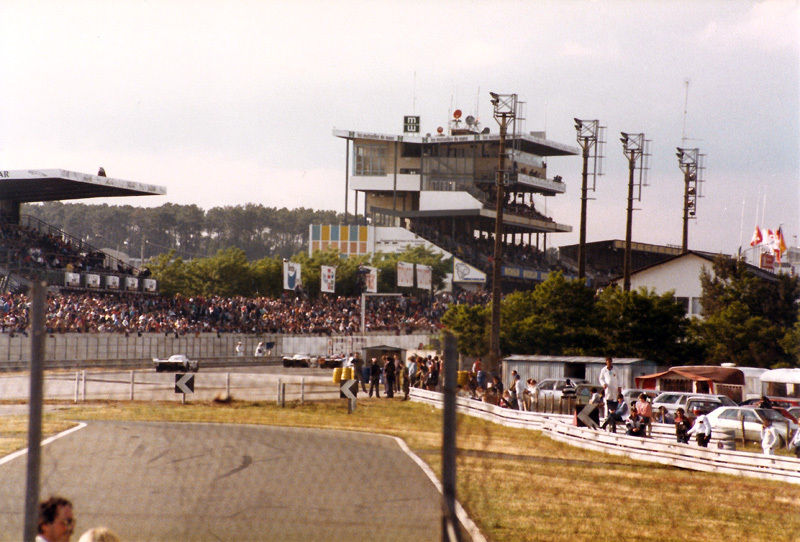 At the other end of the main straight, the circuit had undergone a major change. 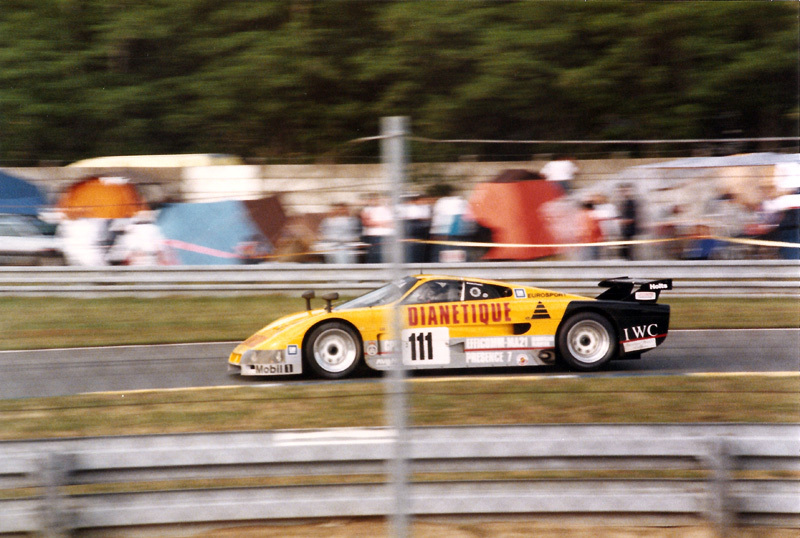 The long and very fast right-handed Dunlop Curve now included a chicane, requiring drivers to get hard on the brakes for the flick right, hard left, and hard right again, under the old Dunlop Bridge. 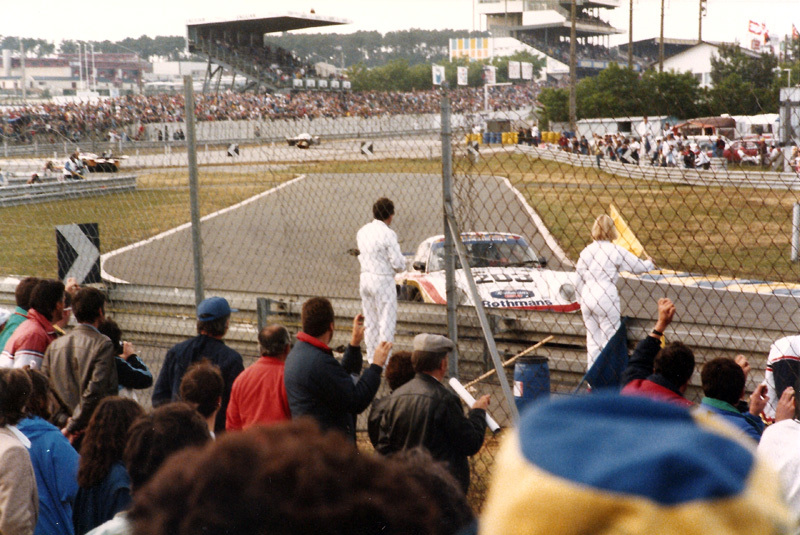 Rallycross supremo Martin Schanche came to grief here in the early laps of the race. 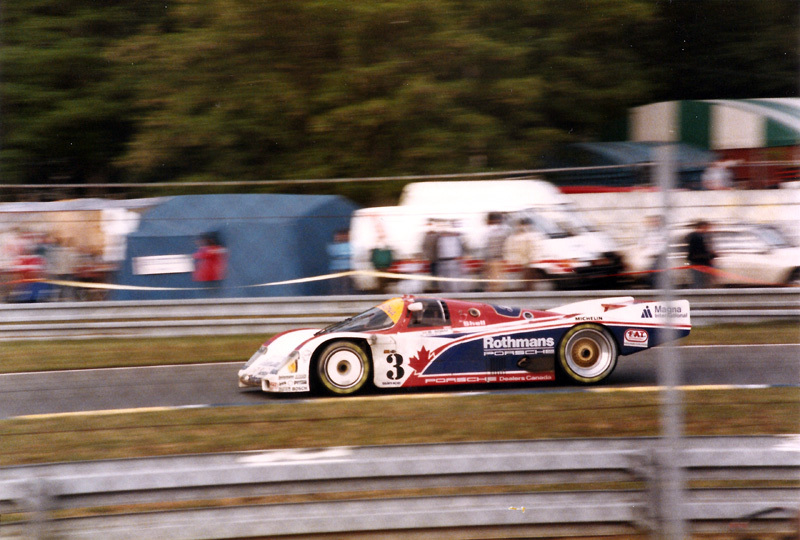 Afternoon soon turned into evening and at about 8 o’clock, we left the garage rouge for the Mulsanne, as we had in 1986. 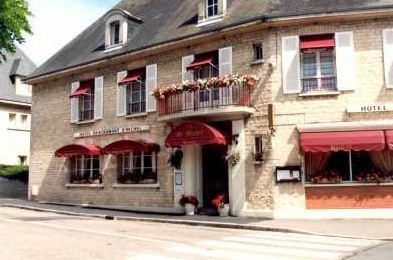 Once again we were able to watch the cars roar by over the fences and gates at the Restaurant des Hunaudières, before taking our evening tornedos (steak of some kind!) out the back in the barn (again). 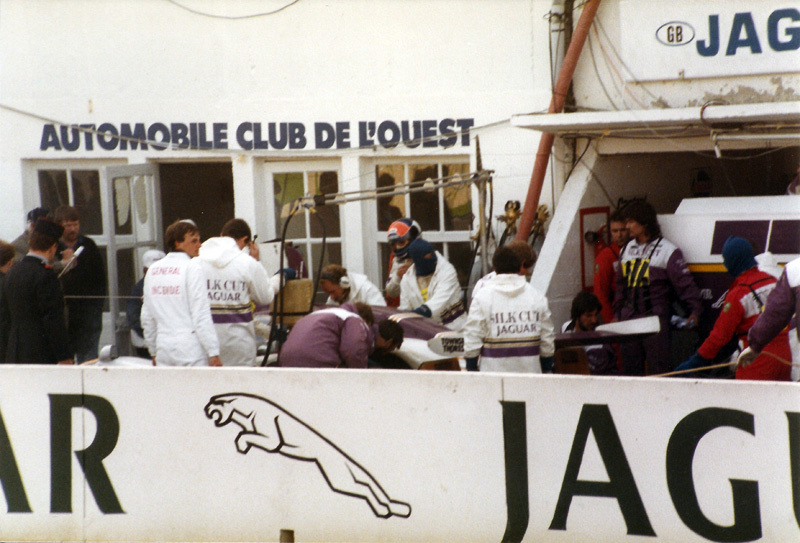 From there we headed back to the tents at the garage rouge and those who were so inclined tried to get some sleep.